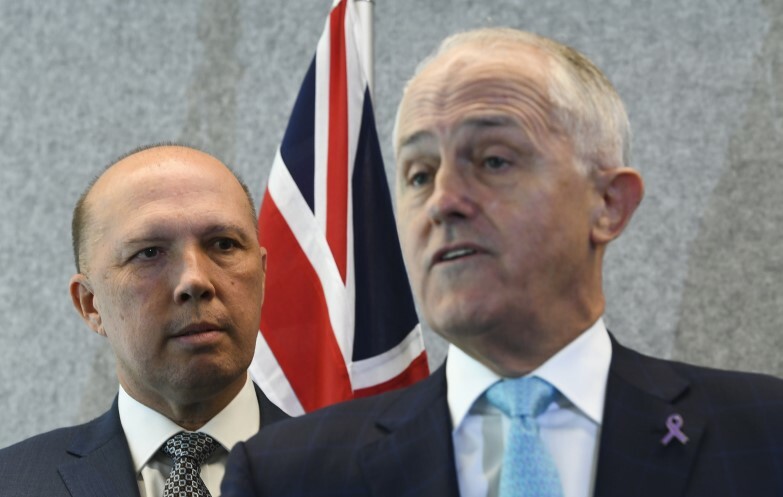 For all his power, there are certain truths Malcolm Turnbull could never admit for fear of infuriating the right. This article was originally on June 18, 2018. It has been updated in light of today’s events. Despite the power of incumbency and the leadership of his party and of the federal Coalition, the former prime minister of Australia dared not speak some truths for fear of unleashing fury in his own ranks. These unspeakable facts ended up becoming impediments to sound policy that had to be skirted around or steadfastly ignored, but which stubbornly remained there regardless of what he said. What were they? 1. The transition to renewable energy and the end of coal is inevitable. The iron laws of mathematics and physics mean that renewable energy is unstoppable and the private sector is no longer interested in wasting money on coal-based power. Fossil fuel obsessives within Liberal ranks have had to couple their Luddite views of energy technology with a demand for Soviet-style government intervention. 2. Our drug laws primarily serve to ruin lives, waste taxpayer dollars, fill jails and enrich drug dealers. Anathema to the “tough on drugs” crowd, the facts about the failed War on Drugs have to be uttered by a senior conservative to generate momentum for change, but can’t be. 3. The Liberals are the party of high taxes and big spending. They know it in their bones and they say it behind closed doors, but none dare say it out loud — under the Howard, Abbott and Turnbull governments, the Liberals have taxed more and spent more as a proportion of GDP than Labor governments. 4. Industry super funds substantially outperform big bank funds. Despite two successive ministers with responsibility for superannuation, Josh Frydenberg and Kelly O’Dwyer — both former bankers — having their super in industry funds, the government is physically unable to admit industry funds beat retail funds, and by a long way, preferring to demonise industry funds as run by “venal union officials”. 5. Wage stagnation is because industrial disputation and collective bargaining have been made virtually impossible. It might be low company profits. It might be the lack of company tax cuts. It might be poor productivity. But one thing wage stagnation can never be is the result of attacks on unions and the industrial relations system for 30 years. So wages growth will perpetually be “just around the corner”. 6. Iraq was a disaster and the Howard government lied to get Australia into it. The greatest foreign policy debacle since Vietnam, which continues to roil the Middle East, killed hundreds of thousands and cost trillions somehow happened without anyone being to blame for it — or accepting responsibility for the lies told about weapons of mass destruction that provided the justification for it. 7. Newstart is too low. Even the Business Council says our rate of unemployment assistance is too low — and had said that for years. But welfare must be an eternal cycle of crackdowns on rorts, not a recognition that Australia has a tightly targeted system that squeezes the unemployed into desperate choices. 8. Private health insurance subsidies are a waste of money. Billions of dollars a year wasted propping up private health insurance is an article of faith on the Right, but deep down, they know it’s true — the money would be far more effectively deployed being directed straight into the public health system. 9. Labor’s response to the financial crisis was hugely successful. It was the mining industry. It was China. It was anything but Labor’s stimulus programs, which underpinned household demand and the construction industry and saved us from recession — programs the Liberals opposed. 10. Our foreign policy has made terrorism worse. Festivals are being priced out of existence by a government bent on avoiding bad PR. Crikey looks at the chaos in the festival industry. Young people continue to die at music festivals despite a well-established means of reducing the risk. Why are we so contemptuous of the lives of our youth? I completely agree with the list. I’ll probably completely agree with the next list too. Exactly MJM -they CAN’T UTTER that they felt compelled to offer an alternative inferior network, since otherwise , the ALP would have got the credit for a world class, fibre to the premises network, that would serve Australians well for many decades. 1. The transition from carbon-based to noncarbon energy is inevitable. Eventually there will be a string of climatic disasters due to carbon emissions that horrify both sides of Australian politics. If it silences the far right, Turnbull would have to be most likely Liberal leader to reach out for a bipartisan solution. Is the Left capable of stepping forward? A unified voice would require the Left to surrender its distraction with renewability, which is just religious nonsense to Conservatives. Worse than running out of natural gas, we have effectively unlimited supplies of it, enough to poison the greenhouse over and over. It is the current surge in gas development that is replacing coal with as great an evil. And it is gas, not batteries, that supplies electricity when the windmills stand motionless on the skyline. We need to think through what we mean by “noncarbon”, because gas must go the same way as coal. 12. “I will lead a party that is as noncommitted to effective action on climate change as I am.”? re 6. Let’s remember those individuals – still in Parliament – whose complicity took us into that war. 13. They hated us for our freedom, so our solution to that was to take away your freedom! And by ten truths Malcolm Turnbull can’t admit, you mean ten truths that the mainstream political media in this country can’t admit, right? Here’s another one: The indignation at “Mediscare” is faked, both because the Liberals have run more and worse scare campaigns than that at every election including 2016, and because the Liberals do privately want to dismantle Medicare if they thought they could ever get away with it. I will take a guess at the 10 for the left…. 2. Deaths at sea have genuinely reduced under the Liberal Party’s refugee policy and you have to deal with that in any replacement policy. 3. There ARE rogue unionists who do bad things (which is not to say all unions are bad, or that business people don’t do just ad bad things). 4. Capitalism HAS been the rising tide that lifts all boats, worldwide. Living standards are greatly up, despite inequality. 5. Democracy has not necessarily been the riding tide that lifts all boats; plenty of countries have improved living standards without it. 6. Islamic terrorists do exist, you do need to defend against them and they rarely stop in their tracks when you tell them how open-minded and tolerant you are. Especially if you tell them how tolerant you are of homosexuality. The left’s favourite victims to defend are not a big happily married alliance, far from it. 7. The left’s identity politics can be as unnecessary, censorious, extreme and prone to fighting each other more than fighting the actual enemy People’s Front of Judea style (tm Life of Brian) as the right’s. 8. Money does not grow on trees and you really do have to fund everything, it’s not a myth invented by bankers. 10. There is no more a single united monolith called “the right” than there is a single united monolith called “the left”, making these lists slightly silly. If an economic system has caused mass inequality then by definition it hasn’t lifted all boats. And wherever it has lifted living standards it’s come at an ironic cost- recently there was a study showing IQ levels in the west decreasing. The cause? Purely environmental. The trend runs in concert with declining health outcomes. Not to mention capitalism is destroying it’s own habitat, placed all of the earth’s resources in the hands of a tiny few and consolidated power within their class and the idiot puppets who represent in government. Then we have the need for endless war to prop the whole thing up to keep markets open etc. So do stupid policy decisions and simplistic, ill-informed views of the world. Islamic terrorists didn’t single out the countries they did because of ‘freedom’. They did it because 1) the governments of those countries decided to station soldiers in the middle east 2) those governments interfered in middle eastern politics and propped up various police states and 3) they also helped Israeli settlers steal other people’s land. Anyone who gets behind those three things is not only losing the moral high ground they claim to own but condemning their societies to violent retribution from aggrieved parties, endless retaliatory war that follows and the growth of a police state in the name of protecting the citizenry. Nice list Arky, but I have to challenge you on number 8. The Federal Government does and can print money, or add zeroes to bank accounts, and probably with very little affect on inflation these days. In fact, money doesn’t have to grow on trees, fiat currency economies can just make it up out of thin air. Growing it on trees would be harder. We could pay off federal debt by just making it happen. Taxes and balanced budgets at the Federal level are not necessary . The Federal budget is NOT like a household budget. State government budgets are. They have to pay their bills with real money, although the Feds could just create it and give it to them, but bailing incompetent state governments out is not a recipe for future prosperity. @Dog’s Breakfast: Yes you could fund stuff by printing money, but you would cause hyperinflation pretty quickly. That isn’t pretty. @Dolphinboy: If I have $10 and Jeff Bezos has $100, and thanks to capitalism in 5 years I have $1000 and Jeff has $100,000 in real terms, then while inequality has increased I am still richer- I am just not as much richer as Jeff. The rising tide has lifted all boats. The point here is that while campaigning to reduce inequality, we should NOT be campaigning to do it by sinking everyone’s boats. On the topic of terrorists, I don’t accept terrorism is ever a valid answer. US foreign policy has been terrible since before I was born, they’ve undoubtedly killed people, propped up foreign dictators, all of it- and it still doesn’t justify a single suicide bomber. That is NOT moral high ground. You are living in a land of theory and not reality. The data show that wages have gone nowhere, affordability of many things has gotten out of control, work is more precarious and inequality is reaching record levels yet the wealthy keep getting wealthier. A more accurate outcome given current trends is that in 5 years your $1000 will be still be $1000 and Jeff Bezos’ $100,000 will be a cool million thanks to all the tax breaks and favourable treatment his money was able to game the system with. Who’s justifying suicide bombers? The point is that our entanglements with Islam are almost entirely a matter of choice. The US bought into a war with Islam, knowingly or not, with it’s ignorant (and often immoral) policies. Without troops on the Arab peninsula, support for the Israelis and ME police states then there wouldn’t have been anywhere near the level of animosity towards America from Muslims that we’ve seen. There’s a reason why muslims aren’t burning Japanese, South Korean and Brazilian flags and it has nothing to do with America being more free. “Liberal” Party values have been so thoroughly eroded that the residue resembles the US Republican Party, the complete opposite to the definition of Liberal. This is why buying a $3.3 Billion “Western Civilisation Heros” package and a Puppet University (Australian Catholic University ?) is a Hermit Crab bolthole package, a retreat for the combing years in the wilderness. So why aren’t the ALP promoting no3 at every opportunity? Even if the ALP did that the msm would ignore it. On the afternoon of 31 May 2018, after Question Time, Bill Shorten may a fine, heartfelt speech in support of the ABC and said the ALP in office would restore its funding levels. Saw no reports of this anywhere. Only knew about it because it was a sitting day and The Guardian Australia follows the events all day on sitting days and I read its report. I have a perception of the Libs as a low tax penny pinching party, probably like most of the population who don’t take much notice of economic detail. But its not just the current mob, after reading KRudd’s autobiog I learned that Howard liked to throw the dosh around, apparently. I guess they spend more on defence? Higher taxes, who’d’ve thought! ?